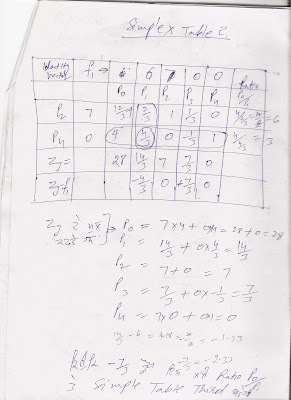 Simplex or simplex table method of linear programming is very scientific method of solving business problem . 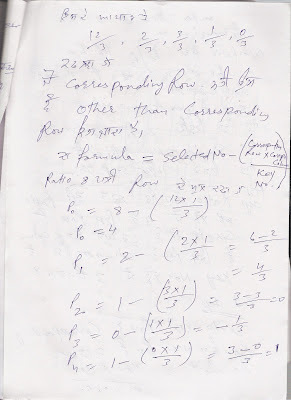 It is very complex but its name is simplex . 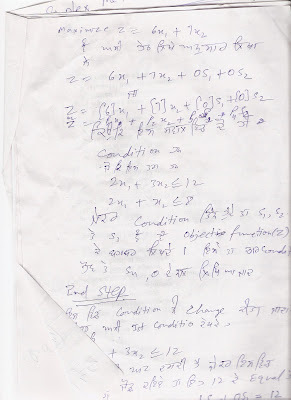 Because after using this we can solve all difficult business problems. 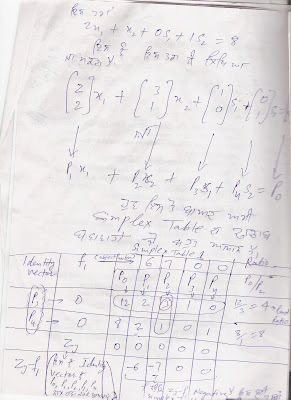 In this method we make simplex table . 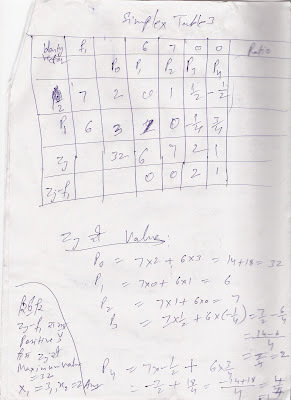 It may make 1,2,3or more simplex table until value of zj – f 1 is not equal to zero or positive . 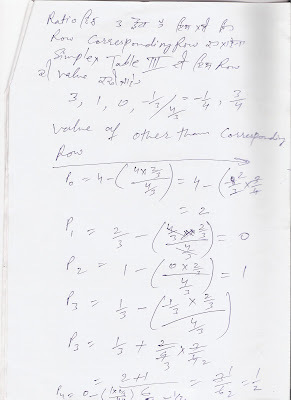 If simplex table give zero or positive value of zj – f 1 then we can easilty calculate the quantity of our two products . Other steps see in picture .